The information presented on this page was originally released on February 13, 2017. It may not be outdated, but please search our site for more current information. If you plan to quote or reference this information in a publication, please check with the Extension specialist or author before proceeding. 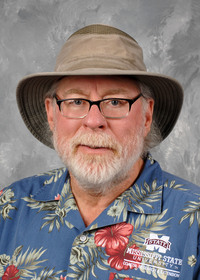 I had an opportunity to attend the Gulf District American Rose Society Mid-Winter Workshop in Gonzales, Louisiana, in early February. It was a fantastic event that allowed me to meet lots of new people and catch up with a few old garden friends. I also learned that I have had the same experiences and developed the same misperceptions that many home gardeners have with garden roses. As young homeowners -- just for perspective, this story occurred 40 years ago -- my wife and I started growing hybrid tea roses in South Carolina. We loved having the fresh-cut stems, but we did not love the maintenance and pest management. So, we stopped growing garden roses. This attitude persisted even after I became the Southern Gardener. But then Knockout roses came along, and I started to come back around. After spending a couple of days with genuine rose enthusiasts, I’m thinking about adding a few roses to my Ocean Springs’ landscape. Just choosing the selections to add to my landscape will be a daunting task, as the number of selections on the market is quite broad. I’m not going to make specific recommendations today, but I do want to give you some information about groups of roses for the home gardener to consider. One group the rosarians were raving about is the David Austin English rose. I was amazed at how lush the blooms are and how each one was packed with what seemed like over 100 petals per flower. Each flower also had an incredible fragrance. David Austin roses are a result of an intensive breeding program that crossed fantastic old garden roses with more modern selections. The result is a group of roses that display great growth characteristics with more reliable repeat flowering and a wider range of colors more commonly found in modern roses. I will have at least one David Austin rose in my landscape this year. I also learned at the workshop that efforts to breed disease resistance into beautiful garden roses come with a tradeoff. This breeding often causes the rose to lose its fragrance. At Kordes Roses, the breeders’ top priorities are disease resistance and fragrance. I was fascinated seeing all the complex flower styles and gorgeous colors they offer. I will have at least one Kordes rose in my landscape this year. If you are a gardening novice unsure about planting garden roses, the easiest way to enjoy them is to plant Knockout roses. 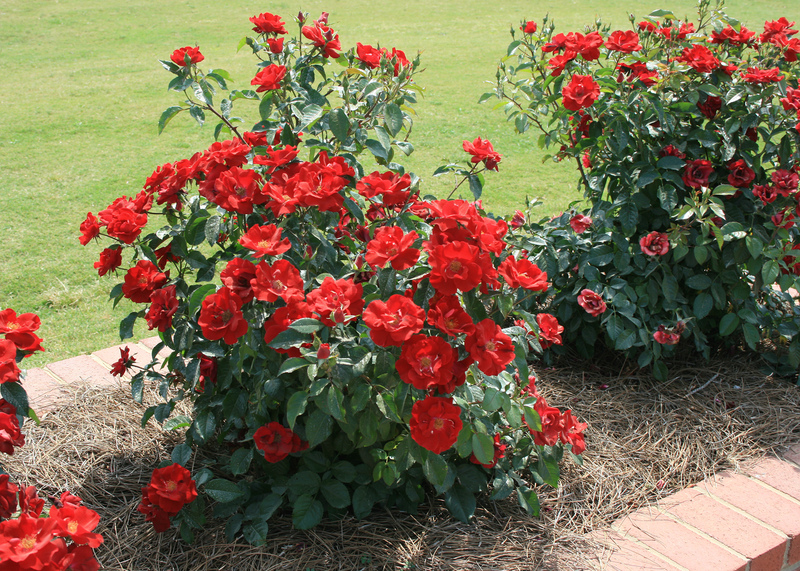 Knockouts are shrub-type roses that are highly disease resistant. They produce flower clusters nonstop in huge numbers. Flower colors range from red to pink and yellow, but I like the red best. This plant has multiseason interest. Its foliage in the spring and summer is a dark, glossy green, and fall brings on a deep, maroon-purple show. Always plant in a location that receives at least five hours of full sun a day, with morning sun being the most beneficial. One you have a little success growing Knockouts, I’m sure you’ll have garden roses in your landscape next year.